This triple-wide VibePlate® XL model provides the best option if you’re interested in lying down on the platform. The VibePlate® XL will allow you to relax your back and stomach muscles while our revolutionary vibration technology massages your muscles, and stimulates your muscular and skeletal systems. 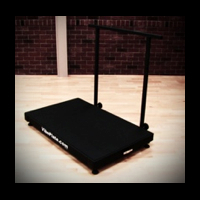 The VibePlate® XL is also great for fitness centers or home gyms. Now you can sit or lie down and fully stretch your stomach, back and leg muscles while remaining completely on the VibePlate. This triple-wide VibePlate® XL is like owning 3 VibePlates for less than twice the price! The Model XL is the size of a Yoga Mat. World-known Yoga Instructors like Gwen Lawrence love it and are using it in their everyday activities. VibePlate® XL gives you the opportunity to exercise and gain without a strenuous workout. Just 15 Minutes a Day, 3x a Week the VibePlate® XL helps strengthen muscles, enhance flexibility, increase range of motion, increase balance, reduces cellulite, less fat tissue and a toner body. Some of the effects of the VibePlate® XL can be seen almost immediately. VibePlate® wants to be a part of you living a longer and healthier life. The VibePlate® XL can help to combat the Loss of bone density, muscle mass, decreased flexibility and range of motion, gain of fat cells, poor circulation and wrinkling of the skin is all a part of the aging process. Inactivity is a major factor in all of this. VibePlate® XL provides the perfect tool that can help improve quality of life. VibePlate® can help you become stronger and healthier without the need for a strenuous workout. 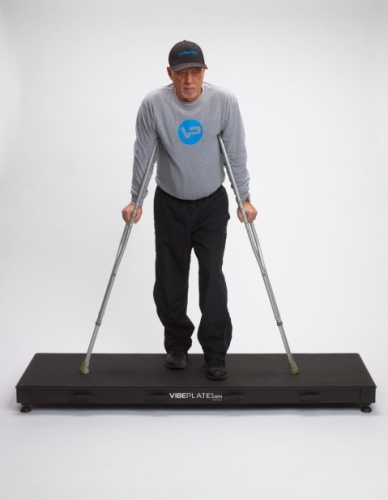 Simply standing on the VibePlate® increases flexibility and range of motion in a very short time. 10 minutes a day, 3 times a week on the VibePlate® can help build strong muscle tissue, reduce strain on ligaments, tendons and joints, enhance blood circulation, tone your skin, help fight osteoporosis, increase range of motion and flexibility. Now VibePlate® made in Lincoln, Nebraska, is used by some of the top universities in the United States, like Alabama, Texas, Florida, Ohio State, Michigan, Nebraska, Arkansas, Georgia, USC, South Carolina and many more. VibePlate is used by our US Military, it is used by some of the top medical professionals nationally and internationally. It is also used by fitness centers, athletic training facilities, high schools, hospitals, rehab clinics, senior centers and more. Some important things to know when selecting a whole body vibration machine. 1. Vibration Movement. VibePlate's vibration motion is vertical. Which is preferred. Reason is, vertical vibration is natural movement. When you walk or run, your feet, arms, legs are moving up and down. Not sideways. 2. Motors. VibePlate has one motor, two motors will NEVER be synchronized. Therefore never in balance. 3. Variable speed. VibePlate has variable speeds from 10 to 60 hertz. There are different issues or exercises where different speeds are used by trainers and medical professionals. 4. Dependability. Most durable platform in the world. Best warranty on the market. Made in the USA. There are only, as far as we know, two vibration machines made in the USA. The list of clientele who use the VibePlate are a Who's Who. In sports performance the Super Bowl champs, Seattle Seahawks use it as well as many other professional teams in football, baseball and basketball. In college football your top 7 schools of all time are just a partial list who use the VibePlate. They are Michigan, Ohio State, Nebraska, Alabama, USC, Georgia, Texas, as well as many others. In the medical and fitness profession, the top physical therapists and chiropractors in the world use it. The United States armed services, Air Force, Navy and Marines and Army are using VibePlate. And for Active Aging, half of our sales are going to baby boomers. It is helping osteoporosis, osteopenia, arthritis, parkinsons, peripheral neuropathy, fibromyalgia, spinal stenosis, restless leg syndrome, balance, strength, flexibility, range of motion, and more. 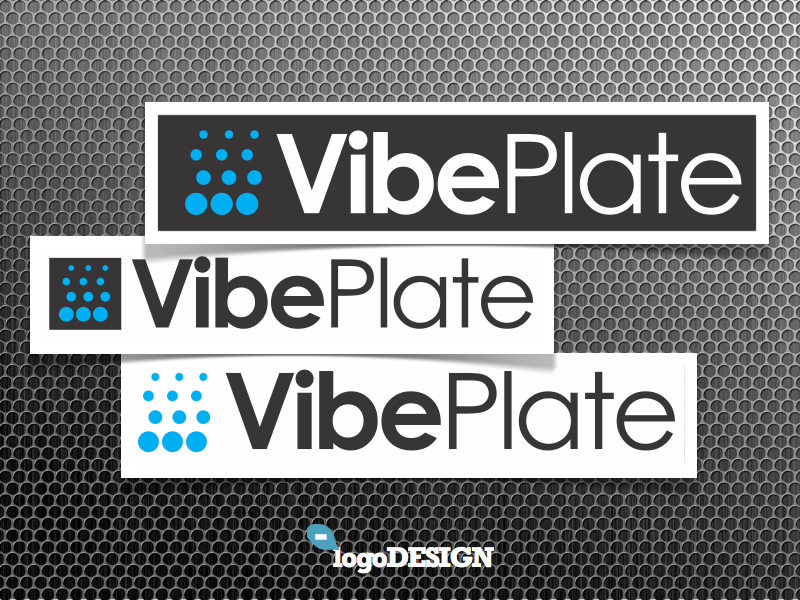 The VibePlate is the most credible platform in the industry. Please feel free to call one of our agents at 1-800-875-9145 with any questions you may have about the VibePlate® XL. Don't wait to get started toward a stronger and healthier body order your VibePlate® XL from FitnessZone.com today! 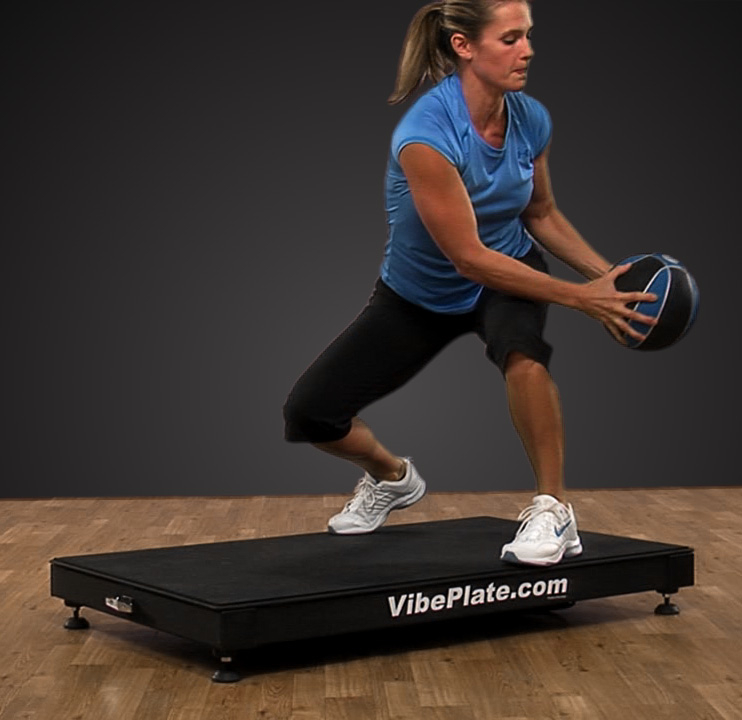 Benefits of using the VibePlate® XL Exercise Vibration Plate include improved flexibility, coordination, mobility, balance/stability, agility, endurance, energy levels, and overall function. You dont have to be an athlete to use this whole body vibration machine; there are incredible medical benefits from the vibration plate and physical therapists and chiropractors nationwide use this with patients. The VibePlate® XL Exercise Vibration Plate promotes lymphatic drainage, faster recovery, increases bone density, better circulation, wellness, and neuromuscular re-education; people suffering from numerous medical conditions are praising the VibePlate® XL for giving them back their quality of life! Peripheral neuropathy, arthritis, MS, ALS, emphysema, cerebral palsy, Parkinsons disease, fibromyalgia, and lymphedema are just some of the many health issues which benefit from using the VibePlate Exercise Vibration Plate. Lighter and more affordable than other popular body vibration machines, the VibePlate® XL is quite simply a better overall value. The VibePlate XL provides a change of pace from the rest of the VibePlate line. Where other models are 24 inches wide, the XL is 25% longer at 30 inches. This provides more vibrating real estate to users who wish to move forward and backward while staying on the platform. Users of the XL often find that its increased length lends itself well to strength training exercises like weightlifting. It’s also a popular model among physical therapists. Like its shorter brothers, the XL is ready for one or two hand rails. Adding these rails greatly adds to users’ stability and increases the number of exercises available to them on the VibePlate. 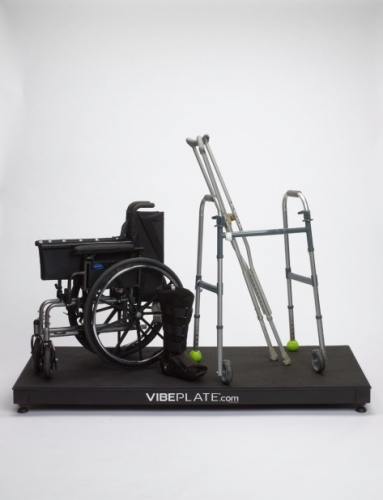 Adding a hand rail to your VibePlate® can give you something to lean on if you experience trouble standing in place for extended periods of time. 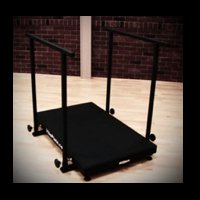 Even better, you’ll have a significantly larger range of exercises and activities available to you with a rail attached. More results in half the time! In a conventional training session, only 40% of the muscle fibers are exercised; with Whole Body Vibration (WBV) training on the VibePlate® that percentage reaches the 100% mark. And it's not only the muscle tissue that reacts, it also has a positive effect on tendon tissue, bone tissue, the nervous system and hormonal balances. Increases Muscle Strength Twice as Fast - The advantages for muscle training on the vibeplate are two fold. First, by forcing your muscles to hold a position on the vibration plate for a certain length of time, your body will begin to recruit and activate more and more motor points to help maintain this contraction. Motor points that are rarely exercised within a particular muscle are now brought into use, perhaps for the first time. Secondly, while the vibrations continue, the motor points that are recruited are forced to contract continuously, time after time, with no appreciable decrease in force output. This allows your muscle to achieve a state of maximum contraction very safely and effectively. The end result is that the entire muscle matures very quickly. With conventional training the resting period between two training sessions is almost as important as the training itself. This basic rule should also be applied to vibration training. The big advantage of training on the plate is that this usual recovery period is reduced. In most cases only one day is sufficient compared to two in conventional training. This means that you will not only train more efficiently, but have the ability to train more often as well. Vibrating technology for stimulating the muscles in the body originated from the Russian Space Institute, the European Space Agency and NASA who were researching the benefits of vibration to counter muscle atrophy (loss) in astronauts when they were in space. Due to the lack of gravity, astronauts rapidly lost not only muscle mass, but bone mass as well which limited the amount of time they could remain in space. The Russian scientists were ahead of the curve with their research on biomechanical stimulation. When the Soviet Union dissolved, the West quickly jumped on the data made available and vibration platforms were invented. So can all this actually benefit you, the gym user? Well, studies have shown 5 - 10% increase in performance for the squat and vertical jump test in athletes immediately after WBV. They could also lift faster which translates to better all round performance and training. But there’s still more! WBV also helps to reduce the perceived pain from muscle soreness after a workout; the number one reason people skip their next training session. A study showed that people who received WBV had 35% lower perceived pain. This is very likely because of increased blood flow that adds another benefit of remove by-products of energy production thus and speeding up rate of recovery. Feeling Rejuvenated – In studies, it has been shown that WBV training increases blood flow, increases production of growth hormone and decreases levels of cortisol (stress hormone). Your muscles act as a pump, releasing toxins built up in your body to relieve muscle soreness and tension. When set to Massage Mode, the VibePlate XL can provide an exhilarating massage. Increase Muscle Strength – Set the VibePlate XL for 30 seconds at a frequency of 30 Hertz, your muscles will contract 900 times. Similar to doing 900 squats in 30 seconds, and you won’t feel the stress in your knees. You can experience a total-body strength workout to tighten and tone in a fraction of the time it takes for a traditional strength training session. Increased Flexibility – WBV training helps to lengthen and strengthen your muscles and tendons for improved flexibility. When used before a traditional workout, stretching on the VibePlate XL gets the muscles ready to work out and helps to prevent injury. After exercising, stretching on the VibePlate XL helps muscles to release built-up lactic acid to decrease soreness and help rejuvenate and repair muscle. Combat Osteoporosis – Studies have found that WBV training helped increase muscle strength in postmenopausal women and increase bone density. Increased Metabolism – With the increase in blood flow, your body can more efficiently eliminate waste and better consume nutrients. For decades Americans have been fighting against their own bodies trying to get trim and healthy with yo yo dieting and ending up as heavy as ever and even in many cases gaining more weight back. Countless hours of long hard workouts end up being all for nothing and weeks of undesirable dieting ineffective. The VibePlate XL workout has changed how people get in shape and how they achieve weight-loss. Forget hour long sessions on treadmills and ellipticals 4 to 5 times a week. So few people are able to sustain this type of workout over time and in the huge majority of cases ends in disappointment. Your workout is done in your home 3 - 7 times a week for 10 to 15 minutes. That's it. Vibration Fitness is different as it not only works your muscles faster but also is able to workout muscles that are very difficult to get in shape. These are usually the little muscles that you pull when you do an unusual movement or activity. It may only take ten minutes on the VibePlate XL but the results you will see are undeniable. The faster you get started the faster you will be on the road to a healthier, happier and more energetic lifestyle. What our customers find is that they have a lot more energy, sleep better and have a very positive outlook after using our fitness machine. These positive effects are caused by how your body reacts to the oscillating vibrating frequencies resulting in faster metabolism, higher serotonin levels and even raised HGH levels. a powerful result of increased HGH (shown to be as high as over 300%) is weight-loss and toning of your body. Vibration training is an extremely effective tool that everyone should have access to especially as we get older and our bodies hormone levels lower, metabolism slows and our regenerative abilities decrease. Why waste money on a gym membership that will not get used, get a VibePlate XL for the whole family. This is the workout everyone will love to do so, get started today! The VibePlate XL boasts an impeccable design. with 2 consoles and a large platform for workout comfort this high-performance machine will provide smooth, consistent operation. – a must for any modern Facility setting itself apart from its competitors. This triple-wide VibePlate model provides the best option if you’re interested in lying down on the platform. Relax your back and stomach muscles while our revolutionary vibration technology massages your muscles, and stimulates your muscular and skeletal systems. The VibePlate XL is also great for fitness centers or home gyms. Now you can sit or lie down and fully stretch your stomach, back and leg muscles while remaining completely on the VibePlate. This triple-wide VibePlate is like owning 3 VibePlates for less than twice the price! The Model XL is the size of a Yoga Mat. World-known Yoga Instructors like Gwen Lawrence love it and are using it in their everyday activities. Many other professionals, colleges, high schools, personal trainers, health and fitness clubs, chiropractors, physical therapists, orthopaedics, retirement homes, medical groups. The Journal of Sport Sciences says that lifting weights while on the vibration platform increases the effectiveness and results of strength training. Athletes are always looking for better ways to get the competitive edge. That is why Whole Body Vibration (WBV) training is quickly sweeping through the sports industry at the high school, college and professional levels. VibePlate® can help provide athletes with that competitive edge. In WBV, mechanical vibrations are transmitted to the body through a vibration plate. As it stimulates fast twitch muscle fibers, there is dramatic increase to explosive strength, motor learning, muscular endurance and overall agility. All this results in more strength, more speed, more stamina, rapid recovery of muscles and tissue, increased flexibility, mobility and coordination. At a rate up to 2x faster than conventional training. Studies have proven that the vibration plate has the ability to reduce muscle pain and soreness, and expedite the recovery of damaged muscles and tendons. Increased secretion of HGH (Human Growth Hormones) that are important in regeneration and the repair process will ensure a faster and more complete recuperation of muscle tissues. The higher release in testosterone levels will allow the explosive (white) muscle fibers to recover much faster and more completely. It also reduces strain on tendons, promotes joint mobility, increases bone density and strengthens bone tissue. You are not just getting a new strength and conditioning tool, but a method of preventing and a faster rehabilitation of injuries. An indispensable tool for staying healthy and getting back to the game quicker. 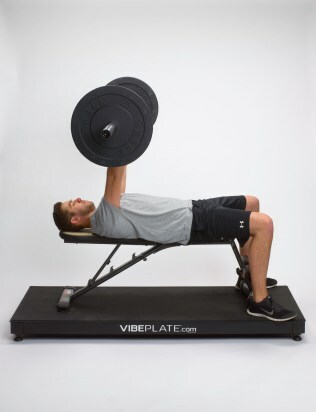 Order your VibePlate® XL from FitnessZone.com today!